Improve durability. Reduce maintenance. Prevent entrapped moisture. 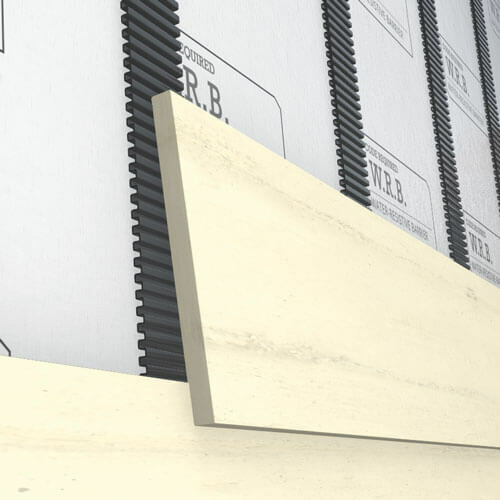 The durability, superior appearance, and added value of fiber cement sidings like Hardie Board makes them a popular choice of builders and designers. The leading manufacturers recognize that fiber cement siding lasts longer and resists moisture problems when installed over a predictable, rigid rainscreen air gap. Natural cedar siding’s unique durability, natural aging and warm aesthetic have been recognized for centuries. 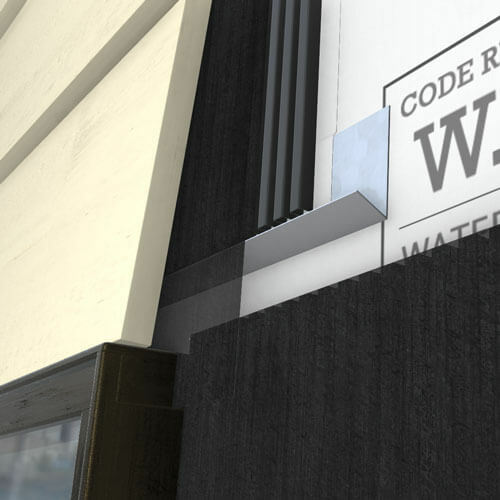 While cedar’s appeal is unchanging, the rest of the wall assembly has changed drastically with the introduction of plastic WRBs, air sealing and increased insulation that have altered the walls ability to dry out. Naturally occurring surfactants in real wood siding compromise the water repellency of many WRBs, allowing incidental water to become entrapped in the wall system without the ability to dry out, leading to damage to the sheathing and wall components. An air gap prevents hydrostatic pressure in the wall assembly, lets gravity drain liquid moisture, and water vapor to exit at ventilated terminations. Sure Cavity™ features rigid channels and a built-in bug screen for a clear and predictable drainage gap along the entire backup wall. Sure Cavity lays flat on the sheathing and reduces nail drive-through for easier installation and superior appearance. An air gap prevents hydrostatic pressure in the wall assembly, lets gravity drain liquid moisture, and water vapor to exit at ventilated terminations. Lightweight 50ft rolls of Corrugated Lath Strip™ create a rainscreen air gap in both horizontal and vertical siding applications. That water that drains to the bottom of the wall needs an exit strategy. 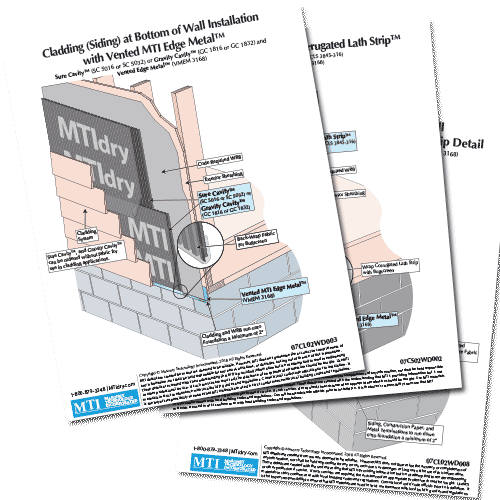 MTI Vented Edge Metal™ is a metal termination designed for the Sure Cavity™ rainscreen. 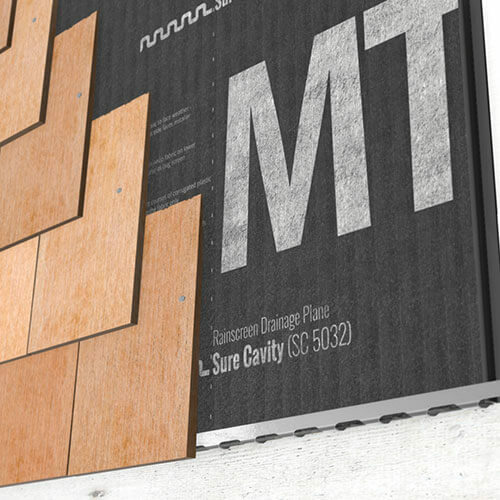 With frequent holes for drainage and ventilation, MTI Vented Edge Metal enables the rainscreen wall to dry to its fullest potential. Window rough openings are a common weak spot for moisture problems - but if the rough opening doesn't get wet problems are prevented. 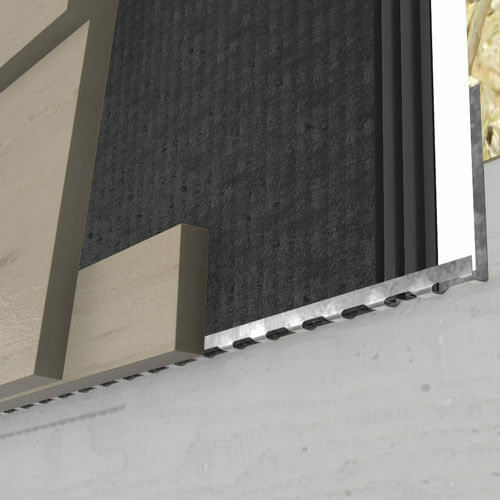 The Moisture Diverter™ channels water in the rainscreen drainage plane away from the rough opening to reduce the potential for leaks and keep windows dry.